The following is the third instalment of a multi-part series detailing the work of Anglicans involved in prison ministry. Read Part 1 and Part 2. Visit the Anglican Church of Canada website later this month for future instalments. 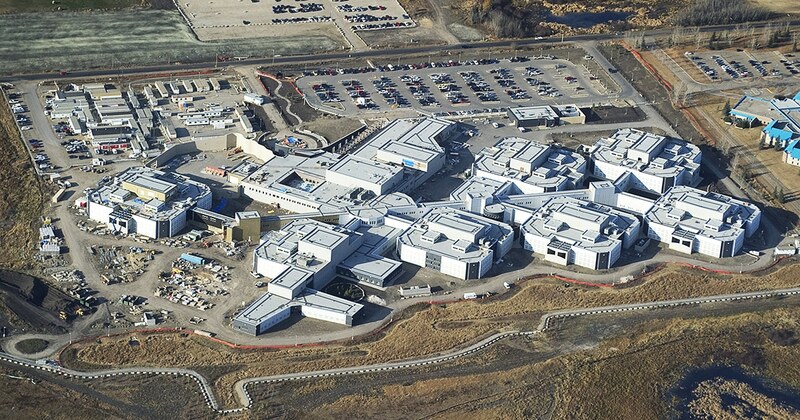 Inmates at the Edmonton Remand Centre represent a group in transition—either those awaiting trial if not granted bail or those awaiting a bail hearing if not yet sentenced. As a result, its population is highly fluid, with 1,600-1,700 male and female inmates residing in the centre at any given time, and approximately 50-75 inmates entering or leaving on any given day. For remand centre chaplains such as the Rev. Quinn Strikwerda, day-to-day work with inmates involves helping them at their most stressful times. Chaplains may flag those who have never been incarcerated before, or those going into trial. Many people in crisis may be feeling suicidal, have recently lost loved ones, or have had their children taken away by social services. “As you can imagine, a jail is a place where people get very lonely,” Strikwerda said. Chaplains in provincial remand centres face different conditions from those in federal prisons, with the former having a much higher volume of inmates and less stability in terms of population. Inmates at remand centres awaiting trial or sentencing face greater uncertainty than those in federal correctional facilities, who have already been sentenced. Since Strikwerda began serving as a chaplain at the Edmonton Remand Centre more than three years ago, the inmate population there has seen a dramatic increase, from approximately 1,000 to the current figures of 1,600-1,700 inmates. Regardless of the given situation for each inmate, the work of chaplaincy involves helping them cope through spiritual guidance as well as practical assistance. “If they have a trial coming up, we’ll go down to units and we’ll do a whole prayer liturgy with them…just to give them a sense of being able to hand the process over to God,” Strikwerda said. As remand centre chaplains continue to improve their approach to the work, Strikwerda annually attends conferences on restorative justice to examine the possibility of incorporating new concepts into chaplaincy.